Kicking off a range of smart hormone health care products, Mira Fertility helps couples maximise their chances of conceiving by measuring daily hormone levels. 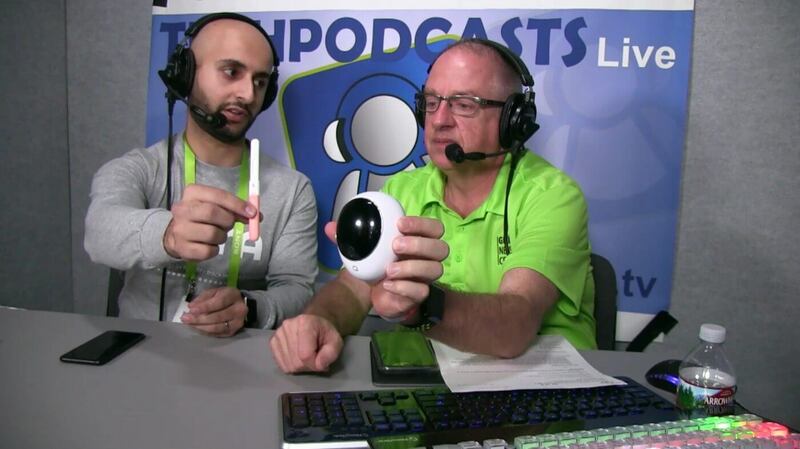 Four times dad Todd learns about the product and future plans from Yazan of Miracare. The Mira Fertility analyser measures the levels of hormones in urine to provide insights into fertility levels to help couples conceive. Like a pregnancy test, the woman pees on a “fertility wand” which is then placed in the Mira for analysis. The information is transmitted via Bluetooth to the Mira app on a smartphone, which uses machine learning to analyse the data and predict the best opportunities for conception. The app shows graphs and other data that can be useful for a couple wanting to have a baby. 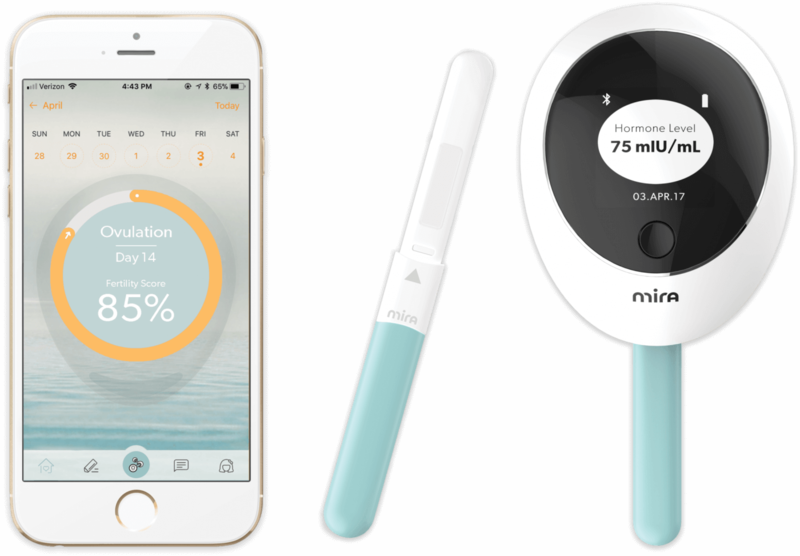 The Mira Fertility Analyser is expected in Q2 2018, priced under US$200. 2014 seems to have been the year of the fitness tracker and there will be plenty nestling underneath the Christmas tree come 25th December. Huawei has joined the market with the TalkBand B1, a wrist-worn fitness and sleep tracker fused with a Bluetooth earpiece. 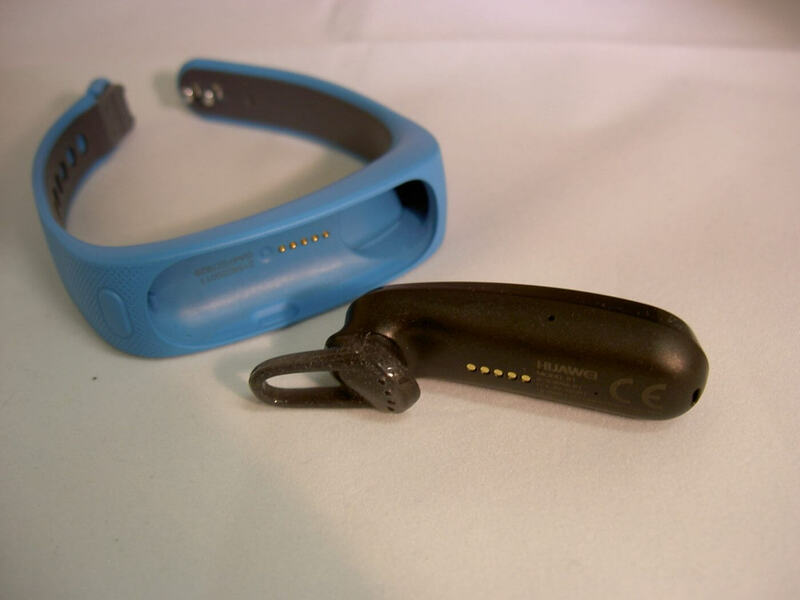 You may think that this is a somewhat odd combination so let’s take a look at the TalkBand B1 and see whether walking and talking is a killer combination. The Huawei TalkBand B1 was first shown back in February at Mobile World Congress and it hasn’t change much since then. 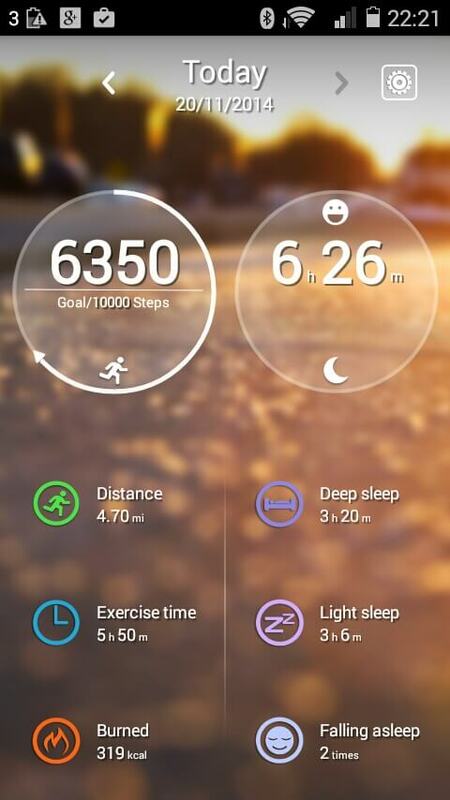 The B1 consists of a coloured wristband (white, grey, black, yellow, red and blue) with an embedded 1.4″ OLED display that shows the current time, steps taken, calories burned and time snoozed. The button on the top moves the display between the four different stats. The wristband comes in two sizes, small and large: the review unit was the small one and I could only just get the B1 on my wrist using the very end holes – if you are buying, make sure that you get the right size. When a phone call comes into a paired phone, the screen shows the caller or phone number, but where’s the Bluetooth earpiece? 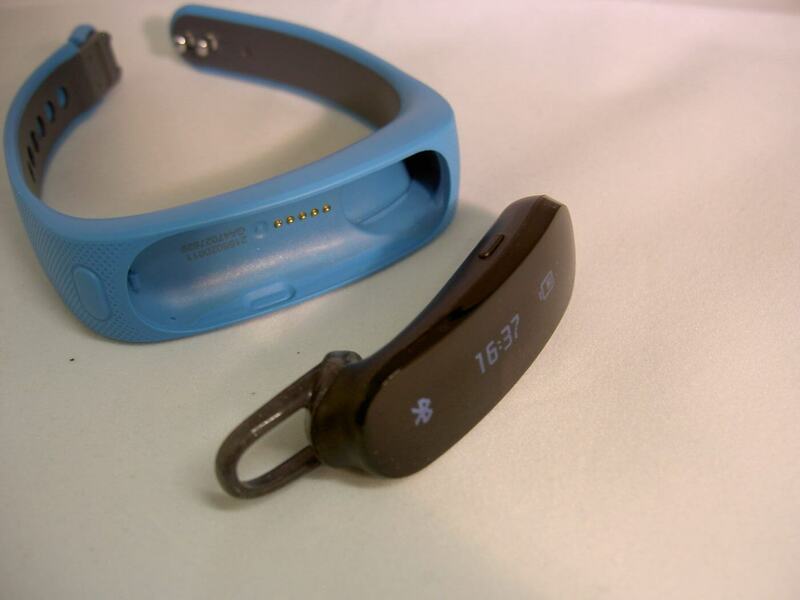 Cleverly, the OLED display unit pops out of the wristband and becomes the earpiece. As you’d expect, the display shows who is on the line when the phone rings. The earpiece was comfortable to wear but it’s not that secure, though there are three different sizes of loop to help keep it in the ear, but I think you’d only wear it while on a call and put it back when you are done. 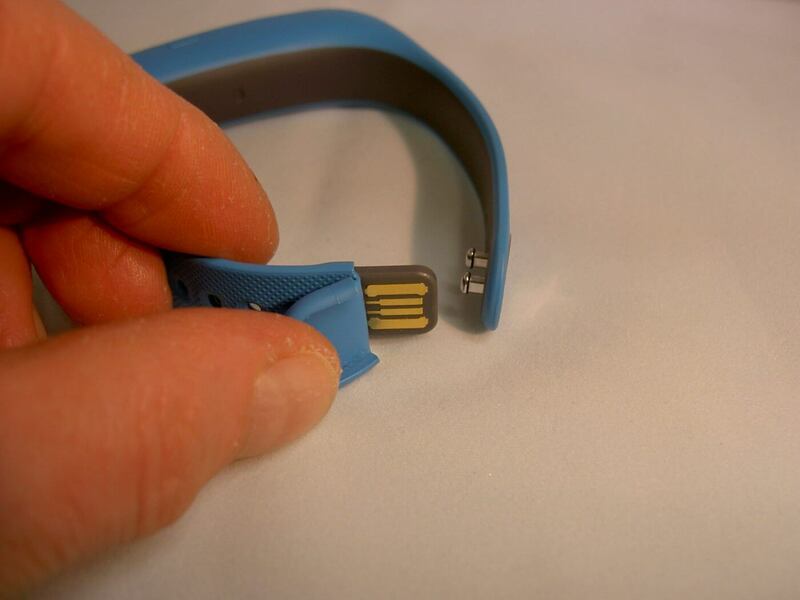 The TalkBand B1 charges via a USB connector cleverly hidden in the strap. The battery life is good and over the two week loan, I only had to charge the band a few times. YMMV as they say. The B1 is IP57 rated so it’s water resistant enough that jogging in the rain won’t be a problem. In use the B1 seemed reasonably accurate. I say “reasonably” because if I walked 10 deliberate steps and checked the counter I would have done 10 steps, but I found that the B1 didn’t always count more casual steps. For example, one afternoon when I did a combination of walking, standing and sitting, my Fitbit said that I’d done 2780 steps to the B1’s 2330. I guess it depends on your point of view as to whether you only want full steps to count towards your daily 10,000 steps (which can be changed to suit your own goals). The B1 also tracks sleep and kept a good note of that – it appeared to easily tell the difference between lounging on the sofa and having a good snooze. If you have been still too long, the B1 will buzz you and show a little animation to encourage a bit of stretching or movement. The instructions suggested the time between prompts could be altered but I couldn’t see how to do it; it’s possible that it was an iOS feature not available on Android which brings us neatly to the app. 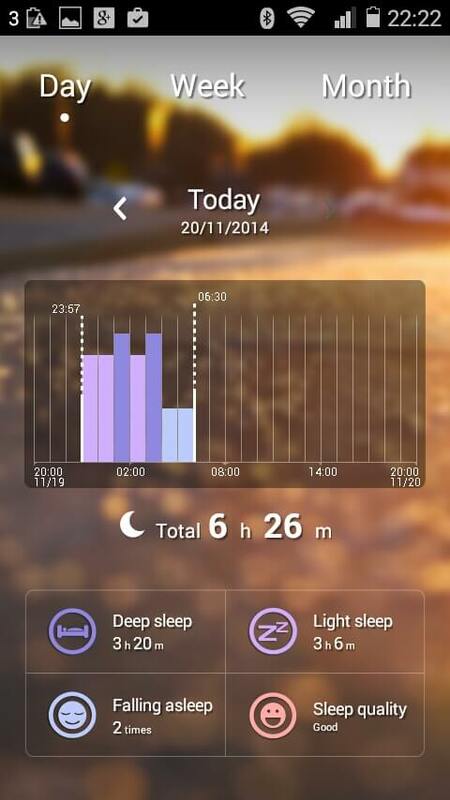 A complementary (and complimentary) app syncs the step and sleep information via Bluetooth from the Talkband B1 to both Android and iOS smartphones, showing stats on a daily, weekly and monthly basis. I was using the Android version. 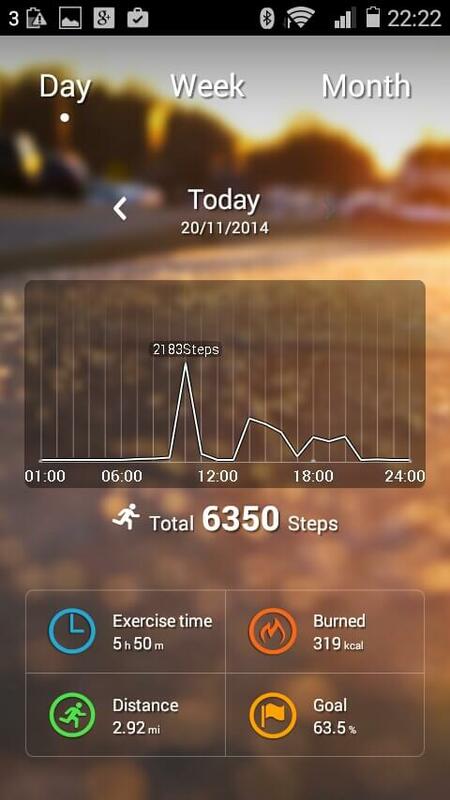 The app is straightforward but doesn’t offer much beyond recording activity and some simple interpretation. Disappointingly, there didn’t wasn’t the possibility to upload or share the information between multiple devices, which I think is very much needed when most people have both tablets and smartphones. As mentioned earlier and from reading the instructions, it would appear that the iOS app has greater functionality but I wasn’t able to check that out. In terms of negatives, the main downside of the Talkband B1 is its size and that it rises well above the wrist. For me, I found it wouldn’t slide under shirt sleeves and in particular, it caught on my trouser pocket every time I reached in to get my wallet out. On the plus side, the instant availability of a Bluetooth headset was great, especially when driving. Overall, the Huawei TalkBand B1 worked well and was useful but because of the size I’d find it hard to recommend as an everyday wear fitness tracker. I could very much see myself keeping it in my sports bag and putting it on before going for a run or using the treadmill. The Bluetooth earpiece was handy too, so if the next iteration was a bit smaller or flatter, it could be a winner. 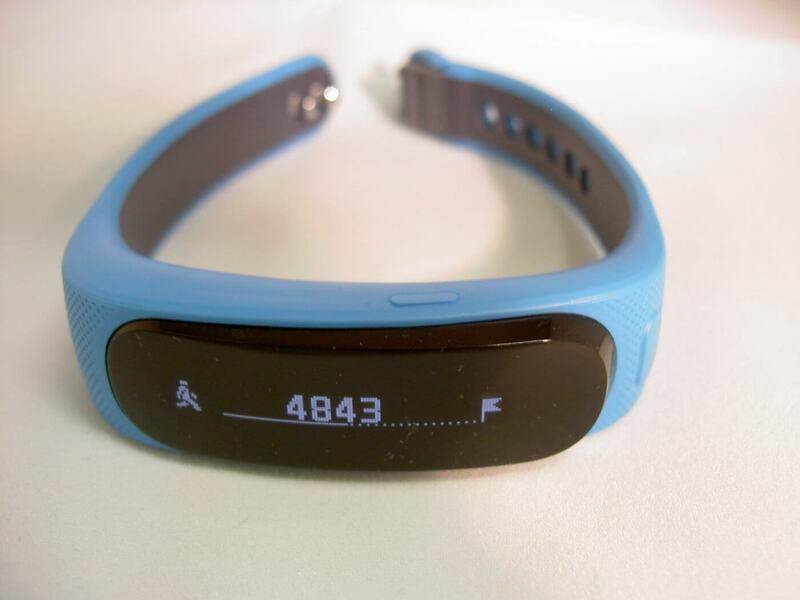 The TalkBand B1 is available from retailers for around GB£100. Thanks to Huawei for the loan of the TalkBand B1.